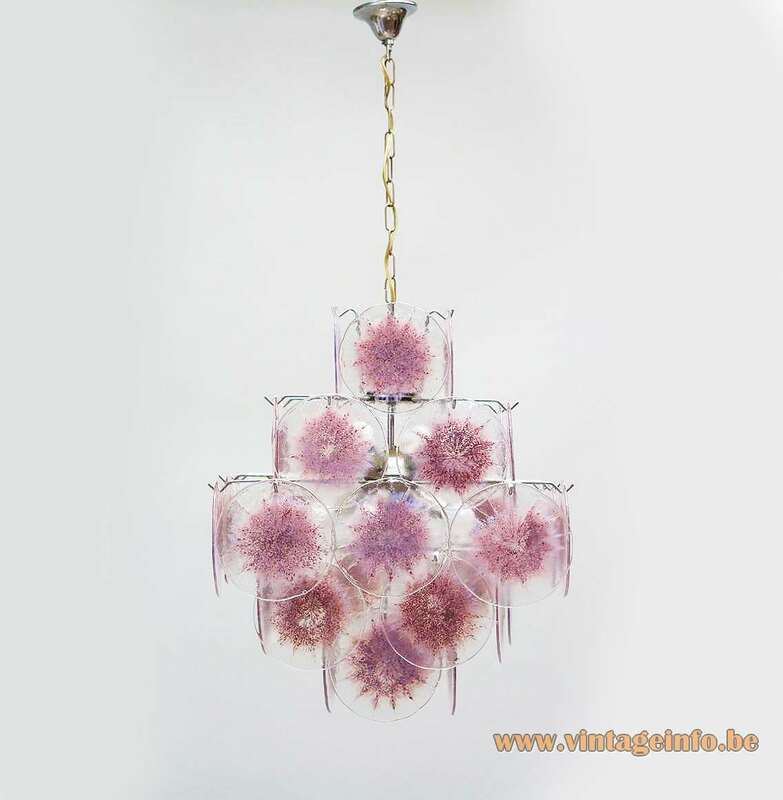 Materials: 36 hand blown Murano crystal glass discs in different colours. Clear glass on the outside, coloured on the inside of the discs. Metal chromed frame. Bakelite sockets. Any type of light bulb can be used, but preferably clear/bright bulbs. 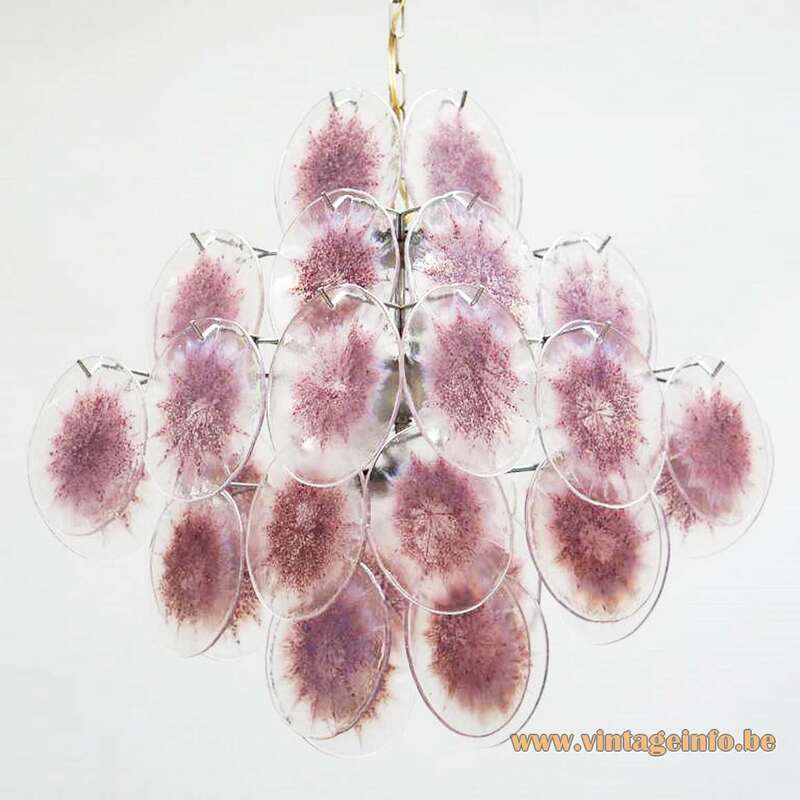 Manufacturer: Vistosi, AV Mazzega and many others. 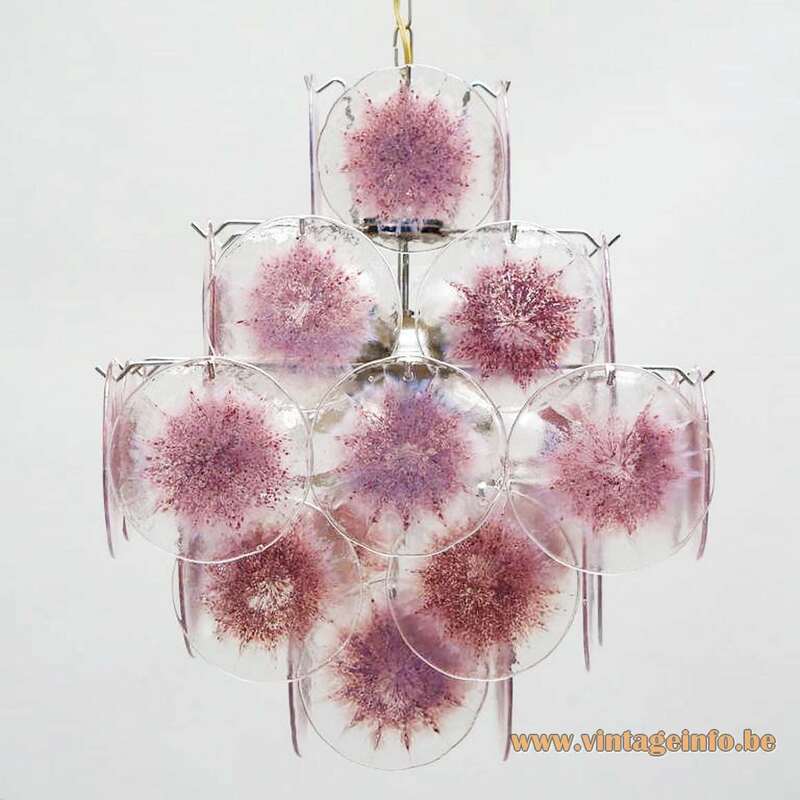 Other versions: Different sizes and colours, more or less discs, wall lamp, ceiling lamp, table lamp. 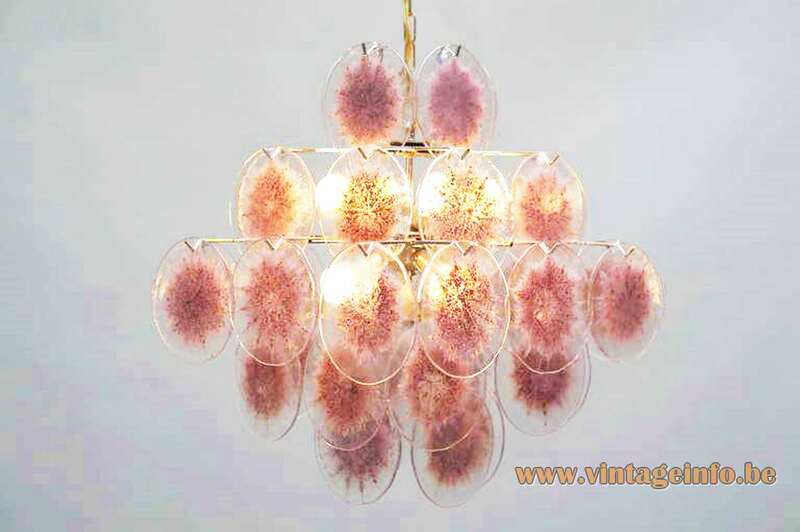 Other disc chandeliers on this website: Gino Vistosi Disc Chandeliers. 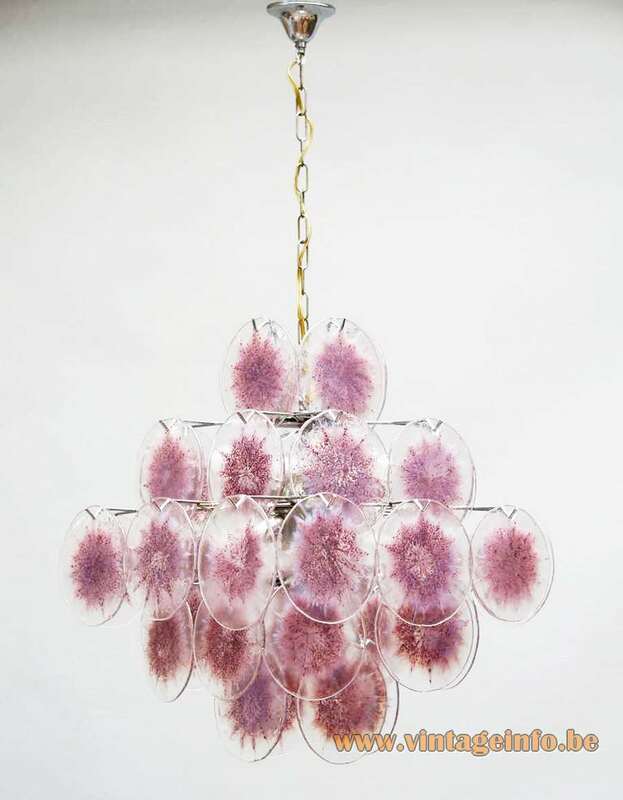 This spectacular hand blown crystal glass disc chandelier is characteristic of the design vocabulary of Gino Vistosi: simple, geometric shapes and monochrome colours executed in the cased glass technique. None of these lamps are identical and are all handmade. 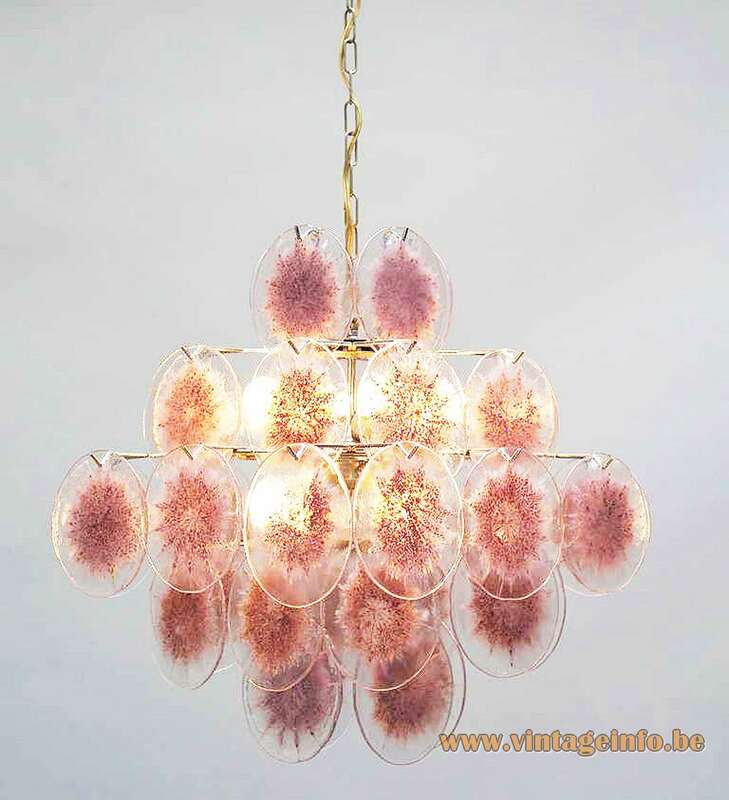 Despite the fact that Gino Vistosi designed these lamps, almost all of the light producers on the Murano island in Italy made these lamps. It was a big hit and they were made for more than 30 years. Few are marked with a label. Today new ones are also produced with old looking frames and sockets: beware!